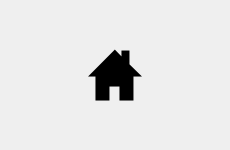 Property listing containing this logo have data provided by NTREIS multiple listing service. Information last updated: 04/21/2019. The information contained herein is either furnished by the owner to the best of his knowledge or from other sources that are deemed reliable but not guaranteed and all information is subject to verification by the purchaser and should be independently verified. If your property is listed with a real estate broker, please disregard this communication. ©2014 CENTURY 21 Mike Bowman, Inc. Equal Housing Opportunity. Each office is independently owned and operated.